Wayne State baseball is 23-8 (14-4 NSIC) after splitting last Wednesday’s doubleheader with St. 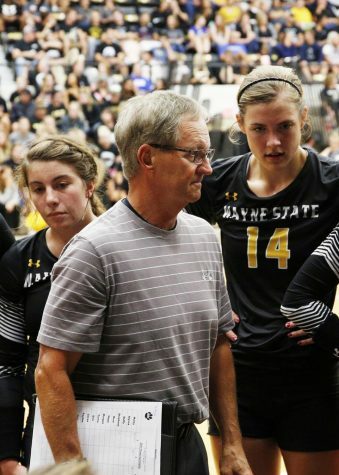 Cloud State on the road and sweeping Southwest Minnesota State in a three-game set this past weekend in Wayne. The Wildcats sit in second in the NSIC standings heading into a doubleheader today with Minot State. 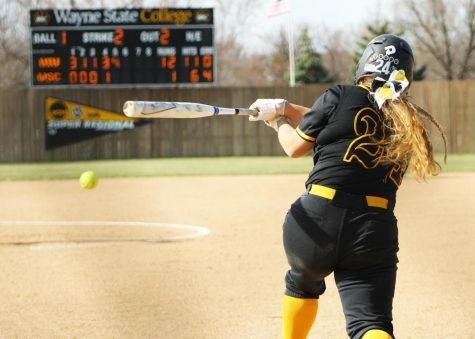 WSC took a 10-game win streak into last Wednesday’s opener against the Huskies. The homerun ball was the kryptonite for the Wildcats, who surrendered five of SCSU’s seven runs via the long ball. The Huskies scored the game’s first five runs, as WSC didn’t manage a run until the top of the fifth inning when Travis Miller tripled and scored on a sacrifice fly from Jake Lemar to cut the Wildcat deficit to four runs. A two-run bomb in the bottom of the same inning gave SCSU a 7-1 advantage. In the sixth, WSC posted five consecutive singles, three of them of the RBI variety from Bryce Bisenius, Kyle Thompson and Miller to bring the score to 7-4. The Wildcats did not produce any runs in the seventh, however, and the 7-4 score went final. “We just struggled on the mound a little bit as far as commanding the strike zone, we gave them some free bags and all their runs were off home runs,” head coach Alex Koch said. The defeat was WSC’s first since March 18. Aaron Ras took the loss, giving up five runs on five hits in four innings pitched. Andrew Hanson and Miller each had two-hit days for the Wildcats. In the back end of the doubleheader, stout pitching was the key to success for WSC in a game in which SCSU managed only a run. Ryan Obrecht delivered a stellar performance on the mound for the Wildcats, =surrendering just one run on four hits. Obrecht did not allow a hit until the sixth inning in what resulted in his fourth win of the year. Andrew Staebell relieved Obrecht in the bottom of the eight and delivered 1 1/3 innings of scoreless ball to earn the save. Offensively, WSC scored two runs in the second for the game’s first runs. After Miller was hit by a pitch, he advanced to third on a Peyton Barnes single. Garrett Graveline singled Miller home during the following at bat to give the Wildcats a 1-0 advantage. CJ Neumann followed with an RBI single of his own to score Barnes and give WSC a 2-0 lead. The Wildcats extended their lead to 3-0 in the sixth when Miller hit a grounder to the middle infield and SCSU could not turn a double play. Miller reaching first allowed Logelin to score an insurance run for WSC. The Wildcats’ final run came in the top of the eighth when Hanson drew a bases-loaded walk to extend the WSC lead to 4-0. SCSU’s only run came in the bottom of the eighth on an RBI double from Ethan Ibarra. The victory improved the Wildcats to 20-8 on the season and dropped the Huskies to 22-6. “[Obrecht’s pitching] was just a really gutsy performance by a freshman to come in against the number six team in the nation,” Koch said. 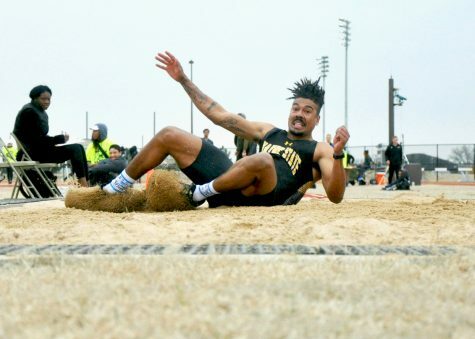 The Wildcats then turned to a three-game series against Southwest Minnesota State that was initially supposed to be played in Marshall but due to weather and field conditions, the weekend set was moved to Wayne, with a doubleheader on Saturday. In the Saturday opener, Wayne State was first on the board after Brendan Madsen scored Jake Lorenzini on a double to the left center field gap. After Madsen advanced to third on an errant pickoff attempt, Thompson delivered a sac fly to center to put WSC in front, 2-0. The Wildcats recorded two more runs in the sixth when Bisenius delivered an RBI single to left center that scored Thompson and Hanson scored on a passed ball after advancing to third. SMSU responded with two runs of their own in the bottom of the sixth to cut its deficit to 4-2. WSC got those two runs right back in the top of the seventh when Madsen hit his first homer of the year, a two-run blast to right center, to give the Wildcats a 6-2 advantage. “They had a good arm that went out there in game one and we were able to find some barrels and get some hits,” Koch said. Six runs proved plenty for WSC, as Aidan Breedlove delivered 5 2/3 innings of two-run ball to earn his sixth win of the season. 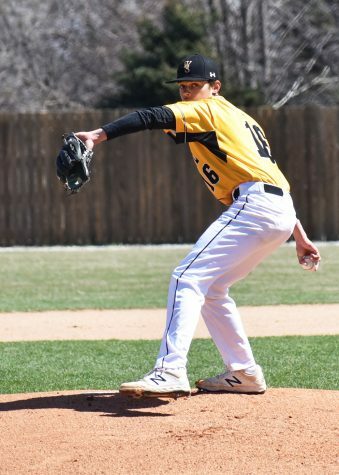 Staebell provided a scoreless third of an inning before Lawson Zenner pitched a scoreless seventh to lock up victory number 21 on the season for Wayne State. 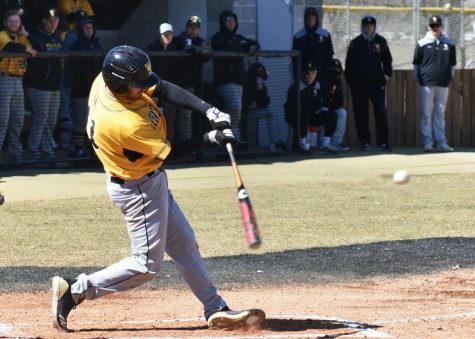 The second of Saturday’s two-game slate was suspended just before the conclusion of the ninth and final inning because of inclement weather, but by then, Wayne State created an insurmountable lead. The Wildcats were the first team to strike, earning two runs in the top of the third courtesy of a two-run double to left center from Madsen. The Wildcats tallied another run in the fifth when Lorenzini clubbed a solo homer to left to make it 3-0. In the sixth, Colin Chick launched a three-run homerun to left after singles from Hanson and Bisenius to open the Wildcat lead up to 6-0. In the eighth, Logelin joined the homerun parade and pounded a two-run shot of his own to left center run the score to 8-0. The fun still wasn’t over in the ninth for WSC, as Thompson mashed a two-run homer to left after Logelin reached on an infield single. 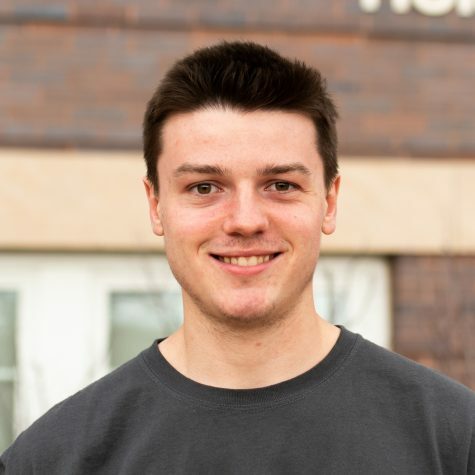 “We’ve got some big bats in the middle of the lineup with Kyle Thompson, Bryce (Bisenius), Andrew (Hanson) and Travis (Miller) and they’re going to drive runs in,” Logelin said. SMSU managed two runs in the bottom half of the ninth to cut the Wildcat lead to 10-2, the eventual final. Though WSC received a flurry of runs from their offense, its starting pitcher did not disappoint either. Hunter Wienhoff earned his seventh win of the season by pitching 8 2/3 innings, allowing two runs (none earned) and posting eight strikeouts. Charles Hasty recorded the last out of the game on the mound for WSC. The victory was the Wildcats’ third straight and brought WSC’s record to 22-8. 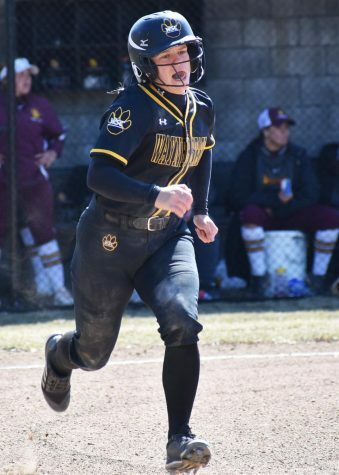 Wayne State’s pursuit of a sweep in Sunday’s series finale was swift and decisive, as the Wildcats tallied nine runs in the game’s first three innings. Bisenius opted to club one over the right field wall and allow Madsen, Logelin and himself to trot around the bases for a 3-0 Wildcat lead. In the second, Bisenius recorded his fourth RBI of the game with a single to the left side to score Madsen and make it 4-0. The Wildcats broke the game open in the third, as Chick brought home Barnes on an RBI triple to increase the lead to 5-0. Lemar followed with a sacrifice fly to foul territory in right to score Chick before Madsen doubled home Neumann to give WSC a 7-0 advantage. After Logelin walked and he and Madsen double stole, Thompson laced a double to left to bring both home and make it 9-0 in favor of WSC. SMSU tallied two runs in the bottom of the third to cut its deficit to 9-2. The ’Cats responded in the top of the fourth when Barnes tripled to right and Chick brought him home on an RBI groundout for a 10-2 Wildcat lead. Logelin reached on a single in the top of the fifth inning, worked his way to third and scored on a sac fly from Bisenius, which was Bisenius’ fifth RBI of the day. The scoring on the day concluded when Hanson brought Thompson home on a single to bring the WSC lead to 12-2, the final score in seven innings. “We’ve just got to keep doing what we’re doing and come into practice every day and work the hardest we can and continue to pitch and play defense,” Logelin said. On the mound, Cade Herrmann earned his second win of the season, going five innings while allowing two runs (one earned). Ryan Petersen and Josh Renken each posted a scoreless inning of relief to seal the fourth consecutive Wildcat win. Wayne State returns to action today in a doubleheader on the road against Minot State starting at 1:00. The Wildcats will then host Sioux Falls in a three-game set starting Saturday at 12 p.m. at the Pete Chapman Baseball Complex.